Dave Cousins, author of 15 Days Without a Head and Waiting for Gonzo, shares his story making secret. One of the most common questions asked of writers is where do you get your ideas from? It’s a question that many will struggle to answer—not me. I know exactly where my stories originate. I’ll let you into the secret, but don’t go spreading it around. This is just between us, OK? On my desk there’s a metal box, 18cm wide by 9cm deep and 8cm high. 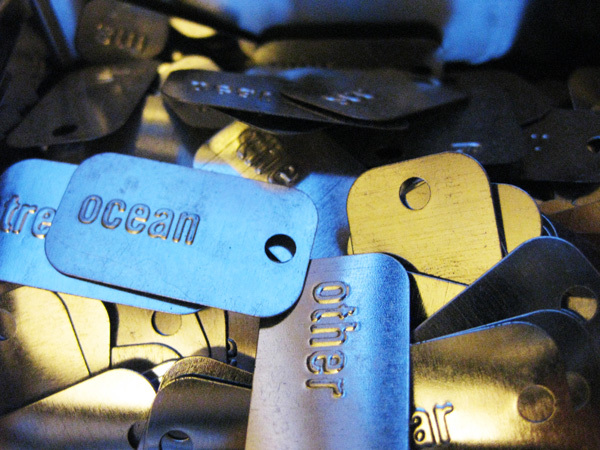 I call it the Word Tin, and it contains all the words I need, stamped into small strips of metal, like dog-tags. To build a story, I simply delve into the box, pull out a handful of words and put them in the right order—simple. Sadly, I’m joking (but imagine if such a tin existed—now there’s an idea for a story!) The tin is real enough, and I have once or twice tried to conjure a story the way I described. It produced some interesting, if not exactly publishable, results. So where do ideas for stories come from? For me, Robert Cormier explained it perfectly when he said, ‘to work for me, an idea must be attached to an emotion, something that upsets, dazzles or angers me and sends me to the typewriter’. The spark that sent me to my notebook to scribble the start of the story that became my debut novel 15 Days Without a Head, came from an incident I witnessed in a pub one afternoon. A very drunk woman was arguing with a stranger at the next table—much to the embarrassment of her sons. It made me wonder what life was like for those two boys, what would happen when they got home. I can’t tell you about the idea that started my new book Waiting for Gonzo because it will spoil the story, but something I had experienced thirty years earlier provided an important element. In the summer before I was due to start secondary school, my family moved from Birmingham to a small town in Northamptonshire. 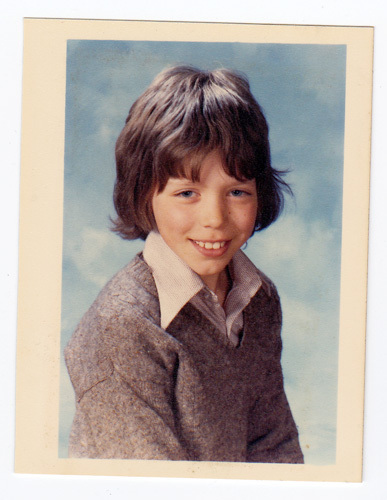 I arrived for my first day at ‘big school’ in an over-sized blazer, 1970s haircut and impenetrable Brummie accent. Look, I’m not going to lay a huge sob story on you—by the end of the first year most kids were calling me Dave, rather than Birmingham, but I’ll admit the first few months weren’t easy. So, this was the situation into which I dropped my thirteen year old narrator of Waiting for Gonzo—though for him, I went one better—or worse. I took him from the city to a remote village—an environment so alien, he might as well have been on Mars. But ideas alone don’t make stories—for that you need characters—real ones, that leap off the page and invade your life. Cue Oz: loud, cocky and selfish—nothing like the sensitive, sympathetic character I had originally imagined. Rather than attempting to blend into his new surroundings and make friends, Oz barged onto the page like he owned the place. I loved him. He made me laugh and did unexpected things. The more Oz came to life, the more he transformed the story—and all I had to do was type. And then of course, there was Gonzo, but I’m afraid you’ll have to read the book to find out about that. One secret per post is my limit! Waiting for Gonzo is published on 7th March 2013—there’s even an original soundtrack to go with it, but that’s a story for another time. Watch the Waiting for Gonzo trailer! Dave Cousins grew up in Birmingham, in a house full of books and records. Abandoning childhood plans to be an astronaut, Dave went to art college in Bradford, joined a band and moved to London. He spent the next ten years touring and recording, and was nearly famous. Dave’s writing career began aged ten, with an attempt to create a script for Fawlty Towers. He has been writing songs, poems and stories ever since. He now lives in Hertfordshire with his wife and family, in a house full of books and records, and writes in a corner of the attic with an anarchic ginger cat for company. For more information visit www.davecousins.net. 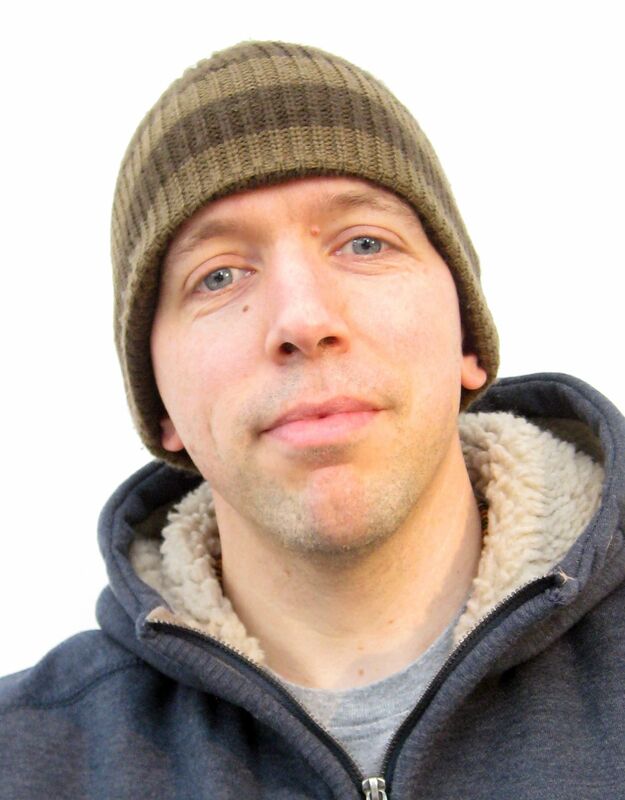 You can also find Dave on Twitter, Facebook and at the Edge – a group of eight authors writing cutting edge fiction for teens.